That cheer you heard the afternoon of July 9 came from the 2,400 MoDOT employees who regularly work on Missouri highways. Governor Jay Nixon signed Senate Bill 611 into law. 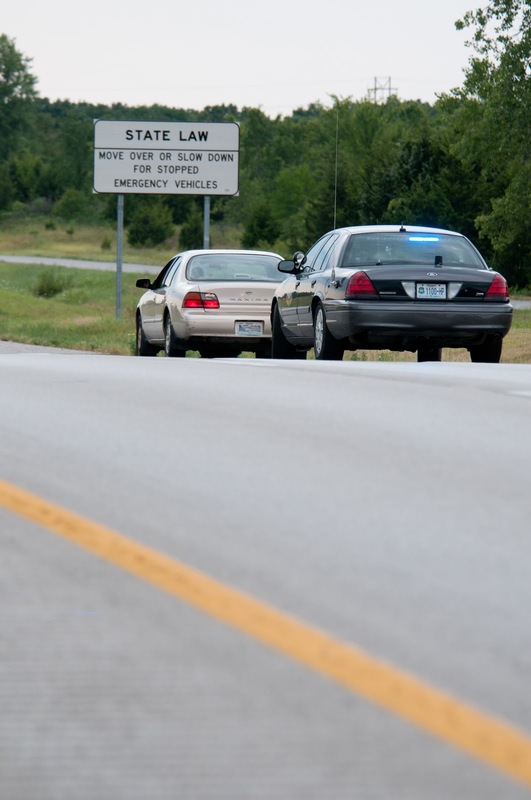 This law goes into effect August 28 and expands the 2002 “Slow Down and Move Over” statute that protects law enforcement and emergency response vehicles parked on the side of the road. So come next month, motorists must slow down or change lanes when approaching MoDOT vehicles parked on the side of the highway with amber and white lights flashing – just like we drivers already do when there’s an ambulance, Patrol, police or sheriff’s car on the shoulder. With the drastic drop in MoDOT’s construction budget, my coworkers are pretty much in a maintenance-only mode. It’s likely you’ll see more crews next to or on the road as they attempt to take care of Missouri’s existing system of highways and bridges, rather than building new lanes and structures. Let’s do them a favor. The law takes effect in late August. How about we spend the next several weeks practicing? When you see a MoDOT vehicle on the side of the highway, either change lanes or slow down. You’ll be doing your part to help hard-working folks get home in one piece. And to those of you who have always moved over or slowed for MoDOT workers – or anyone on the shoulder – we noticed. We appreciate your concern for our safety and thank you.